Currently an owner of an Interim HealthCare franchise, Stewart Wilder has served as executive director for Children’s Home Society of Idaho, Idaho’s largest non-profit Medicaid-certified children’s behavioral health clinic and training institute. Stewart’s career spans over 28 years of operations, executive management, entrepreneurial as well as real estate experience. Stewart is married to his wife Debbie and have a surviving son, Nathaniel who attends Boise State University. Their 17-year-old son Cameron was lost by suicide to the disease of depression on September 8, 2013. Retired Magistrate Judge Jack Varin graduated from the University Of Idaho College of Business in 1968 and the University of Idaho Law School in 1971. He served as the Camas County Prosecuting Attorney for 12 years and was in private practice until his appointment to the bench in 1985. In 2007, he retired after 22 years of judicial service, the last 13 years as a juvenile court judge serving 5 south-central Idaho Counties. From 2007 to 2013 he served as a Senior Judge working with the Administrative Office of the Supreme Court. During his judicial career he served on many court and other statewide committees and commissions including several committees focusing on mental health and substance abuse and the courts involvement in these cases. In 1996 he was awarded the Kramer Award for Excellence in Judicial Administration by Idaho Supreme Court. In 2006 he was awarded the John Schuler Award by the Idaho Juvenile Justice Association for Outstanding Contribution in Juvenile Corrections. He and his wife Cindy now enjoy visiting and babysitting their 4 grandchildren. Vashti Summervill began suicide prevention advocacy after one of her children survived a suicide attempt. She currently develops programs to support and educate parents, especially those struggling in their relationship with "tweens" and teens. She is a graduate of The Parent Coaching Institute and a member of Building Connected Communities , Vashti also serves on the St. Luke's Pediatric Family Advisory Council representing families with children hospitalized due to a mental health crisis. Vashti has a master’s of Music/Vocal Performance from Western Washington University, Parent Coaching Certification ® from The Parent Coaching Institute and an Idaho Elementary Teaching Certificate with a K-12 Music Endorsement. Mr. Richard C. Sisson, Treasurer, is a Partner and Certified Public Accountant with Chigbrow, Ryan and Company, Chtd in Boise Idaho. He has 20 plus years’ experience in accounting and received his Bachelor’s in Accounting from the College of Idaho. Sisson is active as a wrestling and optimist football coach and has served on boards of organizations including March of Dimes, The First Tee of Idaho, Ducks Unlimited and Kappa Sigma Fraternity. John Leary attributes his successful 20+ years Healthcare IT career to being able to troubleshoot people in stressful situations, as well as the technology, communicating clearly with his clients. It was natural for him to move into teaching human connections as an ASIST (Applied Suicide Intervention Skills Training) and safeTALK workshop trainer. His goal is see an Idaho network of trainers that can reach out to all Idaho communities providing evidence-based suicide prevention and intervention education. John graduated from Idaho State University with a bachelor’s of business administration. Mr. Tyrel Stevenson is a graduate of the University of Idaho where he earned his Doctorate of Law degree and is currently the Legislative Director at Coeur d’Alene Tribe in St. Maries, Idaho. Stevenson has worked for the Coeur d’Alene Tribe’s Office of Legal Counsel since 2007, where he worked to address a number of tribal issues that included land use and acquisitions, trust reform, health care, tax policy, tribal code, and environmental issues. Jean Fisher is the chief deputy for the special crimes division of the Ada County Prosecutor’s Office. Ms Fisher has dedicated her career working with some of the community’s most vulnerable population affected by child abuse, sexual assault, and domestic violence. She graduated from the University of Idaho College of Law in 1989 and immediately began her professional career as a deputy prosecutor. 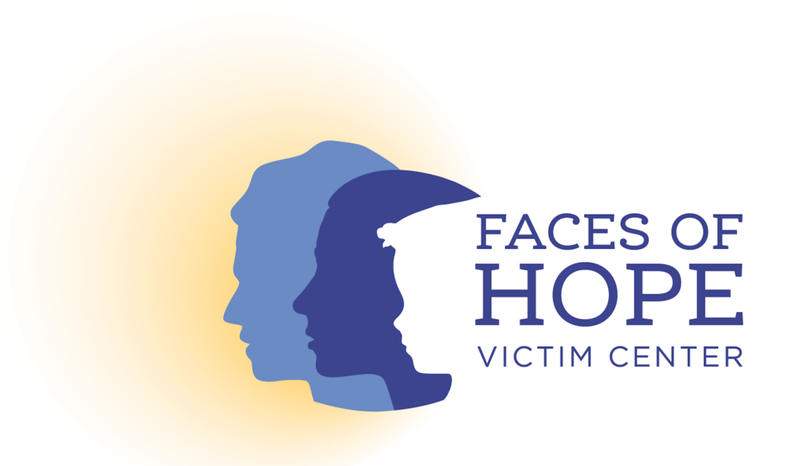 In 2015, Ms. Fisher additionally became the first COO of Faces Hope Victim Center. That same year she co-founded the Idaho Suicide Prevention Coalition, creating a cohesive, statewide coalition consisting of leaders within the existing non-profit suicide prevention organizations. Ms. Fisher is married to Nate and they have raised two sons. Idaho native John Reusser earned his master’s degree in social work from the University of Washington. His career in crisis intervention began at the Crisis Clinic of King County in Seattle as a volunteer, then as an overnight phone responder. Returning to Idaho in 2003, John worked for the IDHW Mobile Crisis Unit, Region 4. In 2012, he became director of the Idaho Suicide Prevention Hotline. John is a member of the Idaho Council on Suicide Prevention and a board member of the LiveWilder Foundation. Graduated from Northwest Nazarene University with a Bachelor or Arts in Social/Political Science in 1994. He served 3 years as a Youth Program Director for the Idaho Falls YMCA, working with at-risk youth. In 1997 he became a police officer and has spent the past 8 years in investigations with his current assignment as a violent crimes detective. He served on the Special Operations Unit (SWAT) as a senior operator for 11 years before his retirement from the team in 2016. Paul has over 21 years experience in law enforcement. Paul has been a lobbyist for the Idaho Fraternal Order of Police for 13 years. In 2016, Paul was appointed by Governor Otter to the Idaho Human Rights Commission. Nate’s political experience spans over 20 years working for an Idaho Congressman and four Idaho Governors. Seven years ago, Nate entered the public policy arena and is now a Partner with Taylor + Company, www.tcolobbies.com. His passion lies with “cause-based” efforts in Idaho, and helped create the Idaho Suicide Prevention Coalition. During the Idaho Legislative Session, which typically runs from January through April of each year, he is proud to call the State Capitol building his “office,” working for ISPC and other clients. Becoming passionate about suicide prevention after losing a close friend to suicide, Kira Burgess trained in CAMS (Collaborative Assessment and Management of Suicidality), along with AMSR (Assessing and Managing Suicide Risk). Her expertise lies in working with high risk populations and crisis intervention in the institutional, correctional, and community settings. Kira has served as a board member of SPAN (Suicide Prevention Action Network) Idaho, Region 4. She is currently working with ISPC to provide evidence-based training to mental health providers in Idaho. Kira holds a master’s degree in counseling from Northwest Nazarene University, and is practicing as a licensed therapist since 2012. She enjoys spending time with her husband and two children. Jillian Huang serves as vice president of membership for the Idaho Women’s Charitable Foundation. She became passionate about suicide prevention after losing a family member in 2015. Jillian brings her varied skills to ISPC, including; leadership development, member recruitment, and grant writing. She holds a master’s of library and information science degree from the University of Kentucky, working 15 years as a public librarian. Jeni Griffin has been in the field of suicide prevention since losing her 16-year-old son in 2003. She currently serves as executive director of SPAN (Suicide Prevention Action Network) Idaho, an executive member of the Governor’s Idaho Council for Suicide Prevention and co-facilitates a survivors of suicide loss support group in Idaho Falls. Jeni is certified and trained in various suicide prevention programs in the state of Idaho, including: QPR (Question, Persuade and Refer), ASIST (Applied Suicide Intervention Skills Training), CALM (Counseling on Access to Lethal Means) and Survivor of Suicide Loss Bereavement support group facilitation. In 2011 Dr. Robert Polk became chair of the Health Quality Planning Commission (HQPC) for the State of Idaho. In 2014 the HQPC began looking at suicide prevention, with suicide being number two cause of death for Idahoans age 10-44. Subsequent support by the 2016 Idaho Legislature resulted in funding of nearly $1 million dollars for the states’ suicide prevention plan. Dr. Polk earned a bachelor’s of science degree from Stanford University in biological sciences, a medical degree from Vanderbilt University School of Medicine, and a master’s in public health from Idaho State University. Shannon Decker is a Mental Health First Aid, safeTALK, and QPR (Question, Persuade and Refer) facilitator who offers trainings in Idaho and Utah to further ISPC’s mission of promoting mental health education and advocating for suicide prevention. Shannon is executive director and co-founder of The Speedy Foundation, holds a master’s degree in educational leadership from the University of Idaho and has over 10 years of private and public teaching and administrative experience in Idaho, Nevada, and California. Our sponsors provide vital support to the Idaho Suicide Prevention Coalition. Please show them you appreciate their commitment to the ISPC by patronizing their businesses.